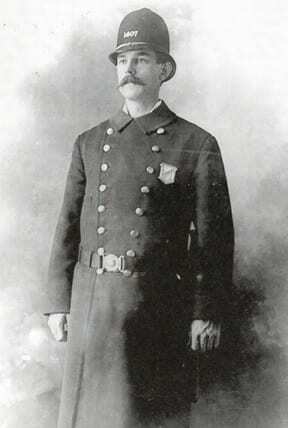 Police officer John J. Doyle went on strike in 1919. Source: Steve Doyle. On September 9, 1919, more than 1,000 City of Boston police officers walked off the job to fight for union recognition and improved working conditions. In the days that followed, they lost their employment and public sympathy, their stories relegated to historical footnotes. Each volunteer researcher receives training in biographical research methods and our project-specific worksheet. After demonstrating proficiency with the research process, researchers are invited to fill out a worksheet for a striker. Every single worksheet takes us one step closer to a complete database of striker biographies. 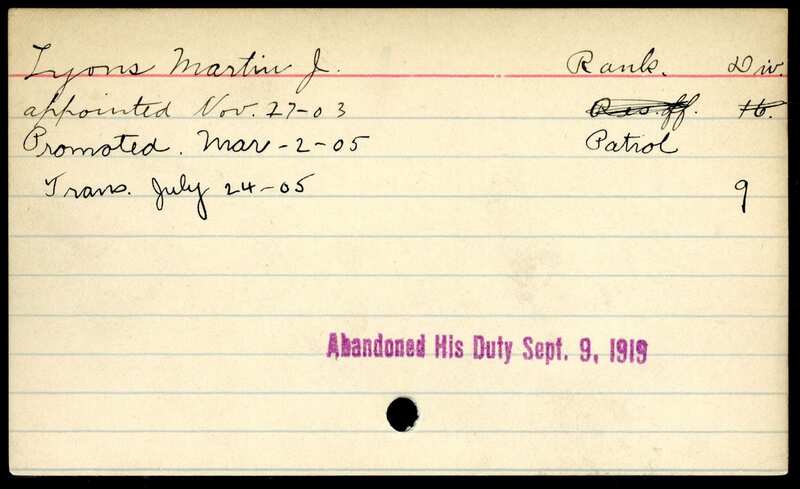 Volunteer researchers learn to build a biographical profile from the information contained in a single duty roster card. Source: Boston Police Department Archives. To learn more about the 1919 Boston Police Strike Project, visit http://blogs.umb.edu/bpstrike1919. Interested in getting involved and staying connected? Join the mailing list. Want to jump right to the course? Enroll here!